On behalf of all of us here at LVM we want to wish you all a very, Merry Christmas! We are so appreciative of each and every one of our wonderful clients, and to everyone who has shown support throughout the year. 2013 has been a great year and we would like to thank all who helped make it unforgettable. And with that we would like to give you a sweet morsels, well – four sweet morsels – of wisdom about the stand out spice of the season…you guessed it, Peppermint! 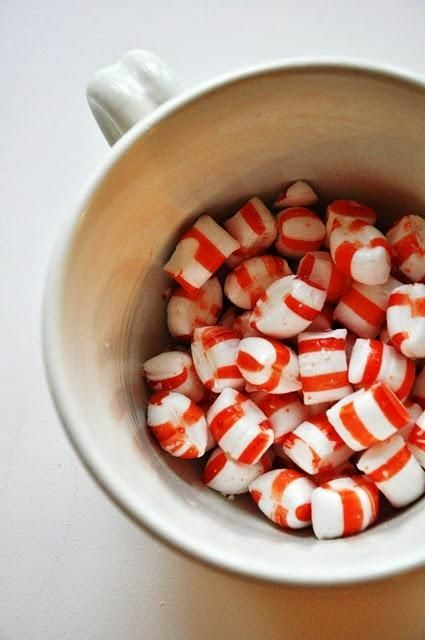 Not only can Peppermint ease those terrible tension headaches that can be brought on by too much holiday cheer; according to the Huffpost Healthy Living it can also boost concentration, tame tummies, relieve a stuffy nose and even curb cravings! We thought you might enjoy these helpful hints as the holiday season dwindles down and you’re looking for ways to use up those leftover candy canes. We look forward with enthusiasm for what the coming year holds for us, and are excited to share it with you all. It is our hope that you celebrate and enjoy this special time of year with family and friends. Sending you heartfelt wishes for the season and a prosperous New Year! integration of social media. As a follow-up to that piece, we would like to highlight a recent survey conducted by AMN Healthcare that highlights healthcare professionals’ use of social media and mobile technology in their careers. 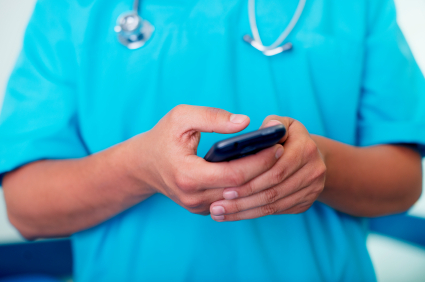 Overall, the results show that a wide range of healthcare professionals are cultivating and increasing their use of social media and mobile technology in their personal and professional lives. Reportedly 3 out of 4 healthcare professionals use smartphones and 40% of them are using smartphones to find jobs via social media. But it doesn’t stop there. According to Ralph Henderson, President of Healthcare Staffing at AMN Healthcare, “…candidates are moving beyond job searching…you can use social media to find out what the culture and work environment is like before you apply.” The fact that desirable candidates may pre-screen companies on social media before applying is impacting the way large healthcare companies view social media. Organizations looking to attract job applicants will want to assess their social media presence and ensure that it accurately reflects their brand and employes a strategy to recruit. Another interesting finding of the survey was that social media is less popular among physicians. “The most popular forms of social media don’t facilitate the type of communication that a physician may want to have with other physicians, due to privacy and security concerns,” said Harry Greenspun, MD, Senior Advisor for Healthcare Transformation and Technology for the Deloitte Center for Health Solutions. For obvious reasons, doctors do not post details regarding patients or other aspects of work on Facebook. Other social media sites, such as Doximity and Sermo, address this need by offering a secure platform that is designed specifically for physician use. Sermo currently has 220,000 active users and is expected to grow. Overall, research found that individuals in this specialized sector are actively growing their social media presence and use and incorporating it into their professional lives as well. As a result, companies are taking a closer look at their marketing strategy and the influence that their online presence can have on their employee base and the image of their brand. To learn more about ways to leverage social media in this unique sector, contact La Voz marketing. We can recommend useful and risk-adverse ways to build your online presence while maintaining brand integrity. 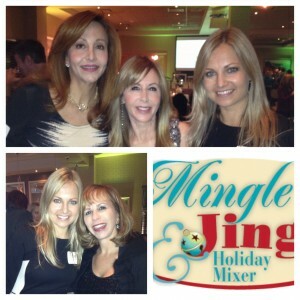 La Voz Marketing celebrated the holiday season at the annual Mingle & Jingle Holiday Mixer, hosted by the Public Relations Society of America (OC/PRSA), the International Association of Business Communicators (IABC/OC), and several other prominent marketing associations such as PCE, OCAMA, OC Ad Federation, and SoCal BMA. Together with friends, colleagues and fellow leaders within the marketing community, we enjoyed the festivities and helped raise funds for the Orangewood Children’s Foundation, to support Orange County foster care children through the Shining Star Scholarship Fund. Held at Andrei’s Conscious Cuisine, it was a fantastic evening of festive hors d’oeuvres, desserts and drinks, as well as exciting raffle drawings and a silent auction. We would like to thank our wonderful hosts for putting on such a fabulous event and for bringing us all together in the spirit of the season. Gift certificates are the backbone for many businesses during the holidays. Making sure gift cards/certificates are readily available can serve a host of shoppers who need to grab a gift fast! Highlighting these certificates via your website and social media, as well as during in-store purchases, is a perfect way to boost holiday sales. Getting involved in local charity events can be another great way to give back with face-to-face interaction. Bringing a small gift or coupon voucher to distribute can help drive business while spreading the warm holiday spirit. Share a calendar of events with your customers that updates them on what’s happening in your area, while letting them know which events you’ll be participating in! discounted deal through providers such as Groupon or Living Social, online promotions, or social media deals, consumers are much more likely to jump on exclusive, limited offers. The fast-paced hustle and bustle of the season creates a sense of urgency to shoppers who are ready to take advantage of time sensitive bargains. Promoting a limited ‘gift-with-purchase’ is a fun way to get into the holiday spirit as shoppers are often scrambling for extra little gift items. Shoppers love to be invited to special events during the holidays. Start off the season by throwing an open house or holiday party. Whether you are a restaurant or a retail store, having an open house is a fun way to invite customers to stop by. Encourage guests to bring a friend, consider serving a tasty holiday beverage, or offer a giveaway, contest or sale. Create a warm and welcoming atmosphere and promote the event to customers in-store, via email and through social media. Get creative and have fun with it – make it unique to your business! Most shoppers will go online for a large part of their shopping. 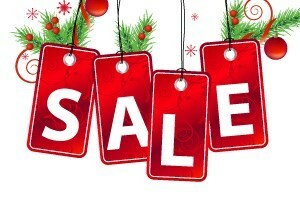 Running online promotions can be extremely effective during gift-giving season. Advertise these hot promotions on social media before and during the season. This is the time to utilize each avenue of communication you have with your customers. Offer in-store shoppers a promo-code that they can use online for specific products or services. You may not need to offer a long list of deals and promotions. Simply decide what is best for your business and share it via every avenue you have! Take after the well-loved Christmas carol and create something special for each of the “12 days of Christmas.” This could mean a unique savings discount that customers can benefit from on each day of the week. You could also offer a reduced-price item, available with limited purchase. Perhaps provide a unique service or voucher, or even a special giveaway, to the first 100 customers on an advertised day. The team here at La Voz Marketing wishes you lots of success in your holiday marketing efforts this season. If you have any questions, feel free to reach out to us. Happy Holidays!